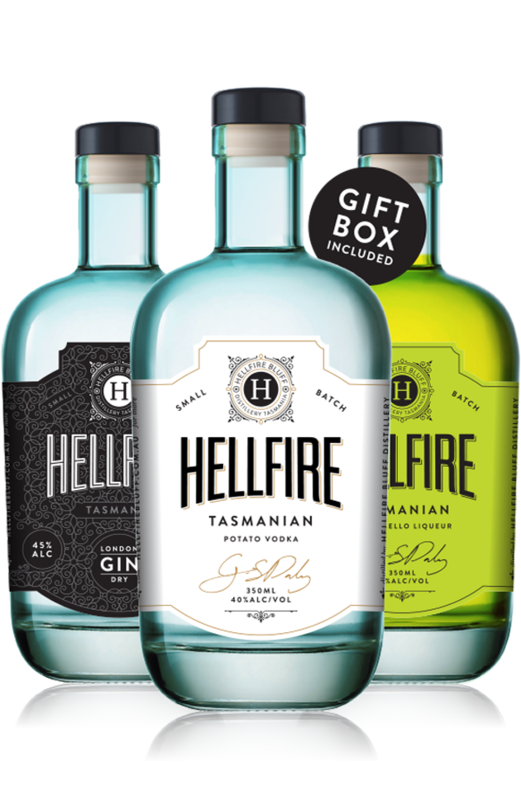 The love and dedication that is found in every bottle of Hellfire Vodka can be traced right back to the day our first potato was planted. Our farmers pride themselves on the produce they grow, only providing the finest ingredients so that we can produce the most premium vodka. We use locally sourced water from the most pristine environmental conditions the world has to offer; ultimately providing you with elegant smooth hand-crafted vodka straight from the paddock to the bottle. 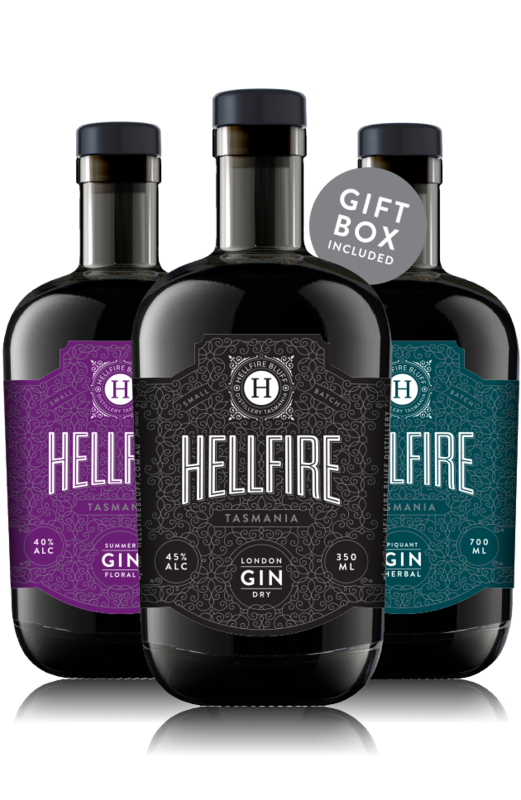 We’ve taken the classic London Dry Gin and given it a local twist, adding brown boronia flower, Tasmanian leatherwood honey and Tasmanian mountain pepper berries. The result is a spicy, complex gin that’s best sipped slowly, allowing the flavours to evolve on your palate. Piquant combines the traditional botanicals of London Dry Gin with Tasmanian mountain pepper berries, olive leaf, lemon myrtle leaf and lemon grass. Full of bold, herbal notes that will delight gin lovers, it holds its flavour well mixed with tonic or soda water, and is fantastic in a cocktail. To make a great coffee liqueur, you’re got to start with a great coffee. We used Son of a Gun, a full-bodied mix of Colombian, Guatemalan and Ethiopian beans from Zimmah, a Tasmanian speciality coffee roaster. They roast this blend more than most other coffees, which means rich and bold caramel and milk chocolate notes. Try it over ice to appreciate the complex flavours, or mix it up in the ultimate espresso martini. Sloes are the autumnal fruit of the blackthorn tree which grows wild in Tasmania. The berries are foraged from rural hedgerows and thickets, and then macerated in our quality gin for over four months. This draws out the intense colour and bright, ripe flavours of strawberry and orange, with hints of sweetened citrus and spice. Best served chilled over ice as an aperitif. SOLD OUT – Available approx. early May 2019. Pre orders available. Want to try all our gins? Why not purchase our gin pack and enjoy a bottle each of our London Dry, Summer and Piquant Gins. Pack includes 3 x 350ml. When selecting quantity, 1 bottle = 1 pack. Can’t decide what to buy? Why not purchase our gift pack and enjoy a bottle each of our Potato Vodka, London Dry Gin and Limoncello Liqueur. Pack includes 3 x 350ml. When selecting quantity, 1 bottle = 1 pack. Find us every Saturday at Salamanca Market.